We’ve liked Circa overall. Love the end of year dog pool party. Office and maintenance staff are very responsive. Wish all package delivery was as streamlined as the locker system...it seems like packages that find their way into the closet can easily be overlooked. I’d also like more convenient parking (for loft side). And that darn garage door! Apartment community is great. Everyone here is very friendly and willing to lend a helping hand. The amenities are fantastic and the free coffee is a huge plus. I love the community and evnironment. The leasing office has been nothing short of fantastic, and the unit is perfect for my needs! The location also could not be better. Love all the amenities and service provided. The only down side is the construction next door and how that building obstructs our view and will affect the sun at the pool. I absolutely love living here. 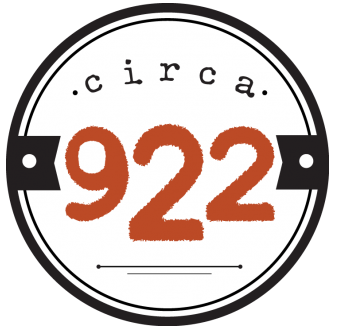 922 Circa is such a great community from the residents to the staff. The amenities are also super great. An overall wonderful place to live! My experience so far has been amazing. I love the location and the cleanliness of the building as well as the amazing staff (Adam is so helpful and has really made us feel at home). The amenities are just right and maintain that feel of luxury without being in a building with 1000 units. It feels personal. I'm glad to call Circa 922 home. The staff is great and overall it’s a good apartment complex to live in. The complex is pretty well kept, however, sometimes it does get dirty when pet owners do not clean up after their pet. Amazing building and staff couldn't be more welcoming or helpful. Area is only getting better. Short walk to the best restaurants in Chicago. Just moved in by so far so good ! Helpful employees and good looking building. I moved in from a building with more amentites but what i need is here. Very accommodating building personnel, five star daily upkeep of grounds and building and overall ambiance make me very satisfied in choosing Circa922 as my West Loop home! I love the building and the neighborhood. This gem is a perfect contrast to all of the impersonal high-rises east of us in the West Loop, and complete with an on-site gym, in-unit laundry, and <5 minute walk to 2 grocery stories. Apartment and amenities are great and are still brand new. great location in the heart of the west loop. rooftop has amazing view of the skyline. The front office has been helpful from the very beginning and continues to be pleasant and attentive! The grounds are always well kept and in wonder condition for its residents. After moving 4 times, Circa 922 has by far exceeded my expectations. The staff and environment is incredible. It truly is a great place to live. I will be staying here a while. We just moved in and the staff was wonderful in getting everything ready within a week. The amenities are new and we love the fire pits! Looking forward to living here. I love living at Circa 922, it's an amazing location and the people are awesome, the apartments are beautiful and the amenities are also really great. I love all of the new renovations at Circa 922. The ground-level terrace is beautiful with privacy, the grill at the ground-level terrace is also a great addition (to grill and be near the pool table), and the additional tables by the pool are nice to snack at. Great staff that is always quick to respond and friendly. The common areas are always clean and well kept. So far the other residents have all been friendly as well. Super helpful and friendly staff - they went above and beyond to help us find an apartment while looking even before we moved. Beautifully maintained building. The staff has been very accommodating to getting me moved in a timely manner. They have left packages for me when I requested so I could pick up my furniture and have it completed in off hours. The building is very clean and although I've only been living here a week, I love it! The building is very clean and if there are any issues or you have any questions, management is always there to help you. We moved in 2 weeks ago and we are loving our experience here! Feeling at home already! Everyone has been so nice and welcoming. I know this is going to be a great year with Circa. Broderick has been awesome and so helpful. Powered by Modern Message Inc. Copyright ©2018. All rights reserved. Each resident review is provided by a current or former resident of the apartment community. Neither Modern Message nor the residential apartment community control the content of the reviews provided. All participating residents receive an equal number of rewards points within the Community Rewards platform in exchange for posting a review.